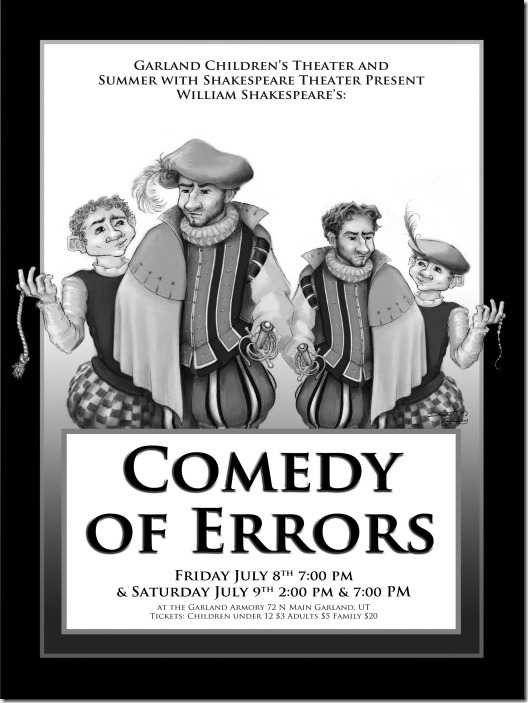 Every summer my mom directs a Shakespeare play with the local community theater. 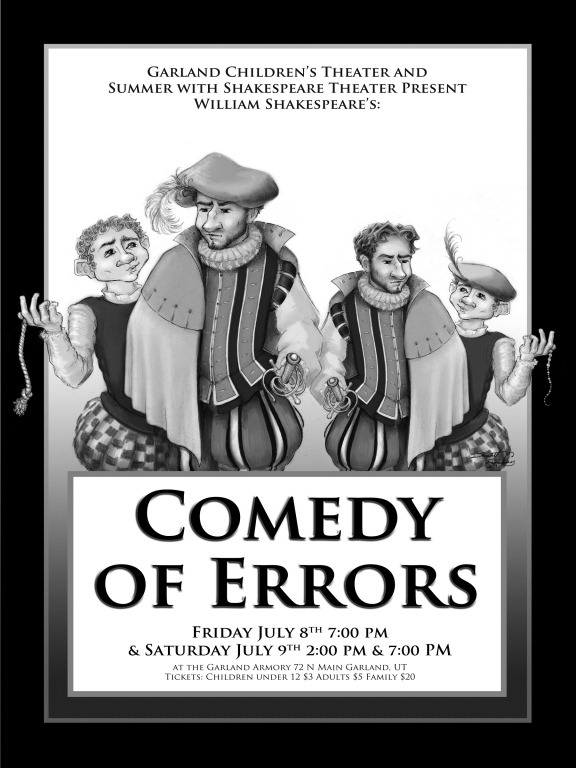 This year she’s putting on Shakespeare’s “Comedy of Errors,” a story about twin brothers with twin servants both separated just after birth and the confusion that results when they are in the same city. Here’s the poster I created for the play. If any schools, community theaters or other nonprofit organizations happen to stumble across this poster, you’re welcome to use it, I’ll even change the text for you if you send me a nice e-mail!